Shouldn’t I be saying “a fresh start for cottagefoods.org?” After all, cottagefoods.org is what received a design and code refresh today, but it’s now called Forrager (and it’s now forrager.com). Why the change, how did we get here, and what’s the future of this community? I’ll address some of those questions in this post. I’m well-aware that you probably have never heard of Forrager, unless you noticed the inconspicuous copyright notice that’s been sitting in the footer. However, the truth is that cottagefoods.org would have never existed without Forrager. 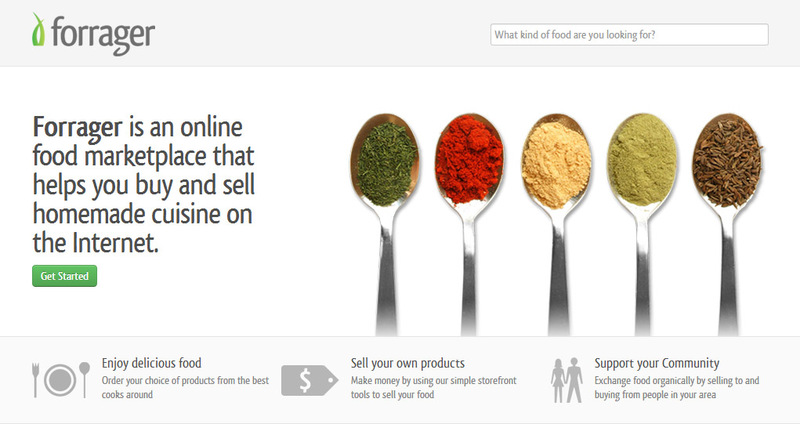 Forrager was an online marketplace for cottage food products that my friend (Cameron Dutro) and I (David Crabill) launched in early 2013. It seemed likely at the time that the cottage food industry would embrace such a marketplace, but that wasn’t the case. The paths of Forrager and cottagefoods.org could not have been more different. We spent a year and a half developing the Forrager marketplace behind the scenes; we wanted to hit the ground running with something built and designed well. Cottagefoods.org, on the other hand, was thrown together quickly with little thought about who else would use it. The only reason we created cottagefoods.org was to have a holding place for info about the cottage food industry, which we would use to help inform the sellers in our marketplace. Basically, we wanted everyone to use Forrager, and we didn’t care who used cottagefoods.org! Forrager is the name of our business and all of our business resources are focused on that name. The whole point of cottagefoods.org is to help you find things — info, CFOs, people — so we think the name Forrager (intentionally misspelled) simply fits. The name “cottagefoods.org” has bred some confusion. Some people have thought that we are THE organization for the cottage food industry… that we make the laws, approve the applications, and have final say on the rules! Of course, it’s really the opposite: this is intended to be a community-driven site that helps each other, without a sense of hierarchy. For the rest of this blog post, when I refer to “Forrager”, I’m talking about this website and community — not the former marketplace. This is the new Forrager, and today’s major update is our way of saying that it is here to stay. You might not notice a huge difference, but trust me, this change is hugely significant! The problem with cottagefoods.org is that it had been made in haste. We essentially put up a structure without much of a foundation. This was fine for the size of the structure (the website), but building anything higher would have become increasingly difficult. The majority of today’s change is sitting behind the scenes. The website has been completely rebuilt using best-practices and tools that will make it much easier to add to the site in the future. Some of these improvements will be noticeable to you… for instance, you’ll notice that the updated design is now unified across the entire website, so everything should be in-sync! You also might notice the extra info on law pages, an adjustment in how states are rated, and a number of other little details that add up. One thing that you might not immediately notice is that you now have the ability to create a group (you must be logged in). The site already has a public group for every state, which serves as a sub-community within this larger one. You can join any groups you are interested in, meet people in the group, and have discussions via the forums. If you create a group (on any topic you’d like), you can choose for it to be public to everyone, visible to members, or private (invite-only). So whether you want a space to talk about packaging, or want to meet other cookie decorators, or even need a discussion forum specifically for your city, you can now do that with community groups. The last time this many home food businesses could operate legally, the internet didn’t even exist! Cottage food laws have now been around for years, and yet, there is still no way to easily find these businesses in a centralized location. The industry seems to be very disconnected, and I think about how the internet can be such a great tool in making more real life connections possible. I think that no matter what we do, bringing people together will be a continual focus. Ironically enough, one thing we will probably NOT do anytime soon is turn Forrager into a marketplace! Forrager is for finding things and making connections… there are plenty of other systems available to help with transactions. As always, if you ever have any suggestions about the site, you can contact us. With the support of a rising movement, and with a new technical foundation, I’m looking forward to seeing how Forrager can help this growing community. Thanks Aymee! We actually still get visitors from a blog you posted over a year and a half ago. Thanks for the references! Wow, David, big changes! Congratulations on the evolving nature of your site! I’lll be looking it over to see how it might be useful to someone in my position…still working on the Illinois law.